Natural holistic treatments like bioidentical hormones, progesterone cream, phytoestrogen herbal supplements and natural food sources like Purvian Maca have shown wonderful results with overcoming menopause safely and effectively. 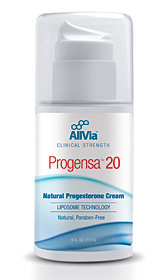 Contains both progesterone and phytoestrogens from herbal sources which work together to provide women more effective control of their symptoms. Phytoestrogens have been shown to subdue difficult symptoms by exerting a weak and safe estrogen like response. Contains Red Clove, Chaste Tree Berry, Black Cohosh, Dong Quai, Natural vitamin E and many other known helpful herbs. Menopause relief formula contains eight of the most tested and proven herbs that reduces hot flashes, night sweats, mood swings, irritability, weight gain and depression associated with perimenopause and menopause. Maca is not a hormone or a phytoestrogen but a highly concentrated and dense herb that is a known adaptogen. Its dense nutrients go to the source of the hormonal problem and fuels the body so it can once again produce healthy levels of hormones and their precursors which enable a body to regulate itself as it once did.